More and more people find dental treatment difficult. This could be due to a previous bad experience or maybe due to particular phobia. If this sounds familiar, you might like to consider sedation. Sedation dentistry is used to provide a relaxing and anxiety-free experience for nervous people receiving dental treatment. It may be the answer if you are reluctant to change the appearance of your smile because you are afraid or anxious about undergoing long or complicated dental procedures while totally awake. Sedation dentistry can make you feel comfortable with little memory of the treatment, helping you achieve a smile you can be proud of. Intravenous sedation is the use of drugs through a needle in a vein to make you feel sleepy and less anxious. The drugs may actually make you sleep, but not too deeply. Often the drugs make you forget what has happened. The gag reflex is hugely diminished and so patient’s with a strong gag reflex will find intravenous sedation helpful for most dental procedures. After IV Sedation, you will require a chaperone to ensure you go home safely and rest quietly for the rest of the day. You must not drive, operate any machinery which carry a risk of injury, drink alcohol or sign important documents for 24 hours after sedation. We have a team of highly trained hygienists on site who work with you and your dentist to maintain healthy gums, fresh breath and fantastic oral health. Your hygienists help you achieve and maintain optimal dental health by thoroughly cleaning your teeth, offering you oral hygiene advice and also providing up to date dental health education. Your hygienists play a pivotal role in the prevention of periodontal disease and also dental decay. With the use of models, electronic aids, toothbrushes, floss and interdental brushes, your hygienist will help educate you towards maintaining a fantastic level of oral hygiene. Does your jaw click or feel painful when you chew or bite? Do you often feel tension in your temples? The causes of these symptoms might be due to an occlusal or ‘bite’ problem which can be addressed by our team. Occlusion refers to the way your teeth meet when the top and bottom jaws close down on top of each other. If your teeth don’t fit together properly this can cause problems with your teeth, gums, the Jaw joint (TMJ) and the muscles in your face. This misalignment, often referred to as TMJ disorder, can also cause some people to clench the jaw and grind their teeth, causing facial pain, headaches, discomfort and clicking when biting or chewing, migraines as well as neck and shoulder pain, even back pain. Our team is trained to look after your oral health and if you suffer from any of these problems we can help you. In some cases, the treatment may involve wearing a custom-made bite guard at night, which prevents your teeth from becoming worn down by grinding and puts your jaw in a relaxed position, relieving tension in your neck and facial muscles. Depending on the origin and severity of your problem, you may need orthodontic treatment. Other solutions may include replacing missing teeth or adjusting any ill-fitting restorations that you may have. Sleep Clench Inhibitors (SCI) are available to reduce tooth wear and help relieve the symptoms of TMJ dysfunction. Cerezen is a unique, pioneering medical solution that effectively treats TMD (Temporomandibular Disorders) and associated symptoms such as Jaw Pain, Jaw Clenching and Tension Headaches which can be worn day and night. 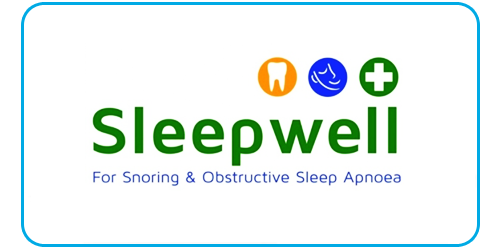 Sleepwell is a most cost effective and long term snoring treatment on the market to help quit snoring. Learn about this snoring remedy and how to use Sleepwell. Sleepwell prevents the lower jaw from dropping back during sleep thereby preventing the closure of your airways during sleep – an effective stop snoring remedy. Sleepwell is a custom made mouth piece produced within our laboratory to fit your teeth. Sleepwell has some unique features including a soft inner lining, allows side to side movement of the lower jaw and most importantly allows the patient to adjust it to maximize effectiveness. High levels of patient comfort meant that during clinical trials over 98% of patients found Sleepwell an acceptable snoring remedy. It is the most clinically successful and advanced two-piece mouth piece to help stop snoring. Sleepwell addresses a number of important key features including maximum comfort, retention and full patient adjustability. It is produced by specially trained and dedicated technicians. The Sleepwell works by holding the bottom jaw in a slightly forward position. This action is similar to doing a chin lift in ‘First Aid’, by holding the bottom jaw forward by just a few millimetres allows the tongue to move forward and opens the airway significantly. By allowing the passage of air more freely reduces snoring. Mouthguards, gumshields or sportsguards, they have lots of names but all aim to protect the wearers teeth, gums and mouth from harm. There are lots of gumshields available, the cheapest gumguards are the boil and bite ones that can be bought in sports shops or chemists. The cheap boil and bite mouthguards tend to be poor fitting and inhibit the wearers ability to talk clearly and often encourages a gag reflex due to the guards ability to move around in the mouth too easy. It is important for ANY sports person undertaking any level of contact sport that requires the use of a mouthguard to get a ‘Custom Made Mouthguard’ from a dentist.